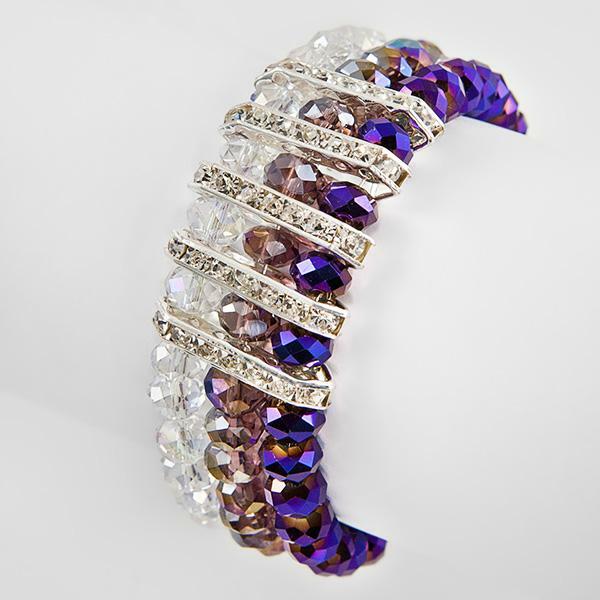 Exotic Three Strand Austrian Crystal Bracelet is beaded with Clear, Violet and Amethyst A/B beads. 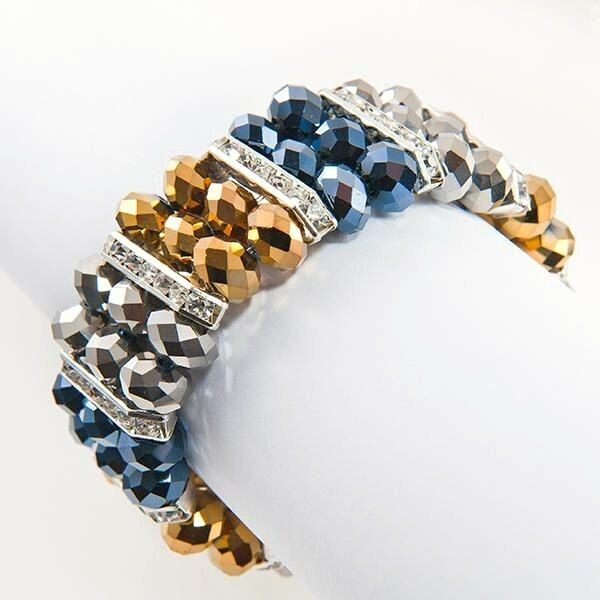 Or, choose our Topaz, Jet, & Silver Bracelet. 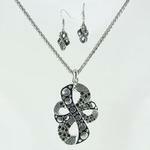 Accented with silver spacers pave set in clear Austrian Crystal. Fits most wrists. Please specify color when ordering. 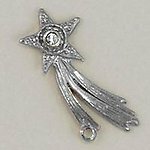 See EA426 for complimenting earrings.